Mount and Blade 2 is probably one of the most anticipated releases for the PC, and much of that hype is thanks to the lasting success and influence of the original game. Released almost ten years ago, the game has maintained a strong fanbase on Steam, though many of the issues within it have only ever been addressed by independent modders. With rumors circulating that the sequel will be released in 2017, many are excited to see how the developers update and improve the game. Of course, that does beg the question as to what improvements those might be, and what promises the developers have already made. How does the Original Mount & Blade Hold Up? Battles were one of the highlights of Mount and Blade, particularly when they were in the open field. The way physics mixed with horseback combat was widely praised, though the graphics are very typical of the time it was released. Mount and Blade was surprising in both its depth and its scope, giving players a sandbox experience that kept people playing for years after its original release. With its diplomacy and sophisticated AI, the game felt like a living world that the player could actively engage in, building their reputation among both the nobility and the peasantry. Physics played a heavy part in the combat as well, making speed and weight an important factor in whether or not an attack was a killing blow. The fact that a player could go from a simple merchant or mercenary and rise up to rule their own kingdom provided a lasting sense of progression. That said, the graphics have not aged well, and the UI was never very intuitive. While players were previously forced to just put up with these minor issues or make use of mods that improved them, much of the anticipation has been fueled by a desire to see an official release that updates the game. What Mechanics Does the Sequel Promise? New siege mechanics, improved economy, and crafting will better allow players to leave their mark on the realms of Calradia. The world of Mount and Blade 2 promises to be far more dynamic than even its predecessor was, allowing the player to have more influence on the diplomacy of Calradia. There will be more diverse options for dealing with NPCs, as well as managing your kingdom after your player has forged his own realm. The economy will also be easier to affect than the somewhat static version the original had, allowing players to revitalize impoverished areas or sabotage the trade of enemy kingdoms. The sequel will also implement a crafting system, which was more or less absent from the last game. Players will be able to forge their own weapons and armor, giving them names that will better allow players to immerse themselves in the story of the game and create a unique identity for their character. This will also make looting more meaningful, as they will be able to plunder enemy items as trophies of war. Siege battles were often a slow and tedious process in Mount and Blade, often resulting in players getting wounded early in the match and having to take cover while the battle reached its conclusion. Mount and Blade 2 has ambitious plans to change that. While the original had lasting replayability due to its excellent combat and immersive world, Mount and Blade 2 promises to have this and much more. Siege battles, often criticized in the original, will have a number of new mechanics that will make them more dynamic. Players will be able to make use of customized war engines, as well as more properly organize their defenses. 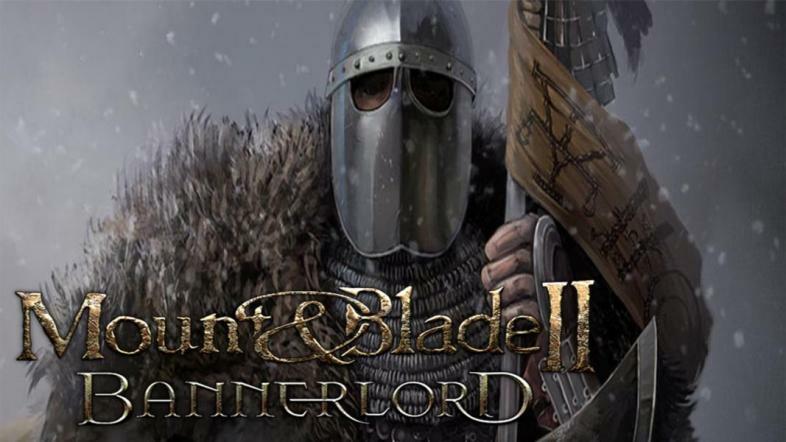 While a release date is still pending, Mount and Blade 2 has released a number of trailers and screenshots. From what’s shown, the game promises to be intense, brutal, and immersive experience that may prove to be just as engrossing as before. Even if the new mechanics don’t work as promised, many fans of the original would be more than pleased with a version of the old game that has updated graphics.